Happy volunteer appreciation week. Although, you may not yet be a volunteer, by considering becoming one, you are one step closer to being one of over 100 million volunteers worldwide. We, volunteer managers, are cordially inviting you. And so, I am writing this letter to you personally. 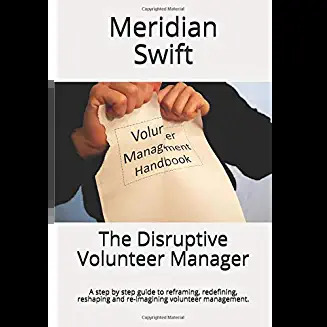 If you are interested, I’m going to ask you a few questions to help you acquaint yourself with the volunteer manager who will be your guide throughout this process. Let’s get started. Because we appreciate your unique qualities, how do we support you while together we find your ideal volunteer niche? Are we to be your mentor, your cheerleader, your coach, or your teacher? Can you help us fill the role you need us to fill so that you can succeed? What should we do to help bring out your best? Do we hover, give constant praise or would you rather we stay back and be available only when you signal you need our help? Can you give us signals that indicate you are doing well or tap us on the shoulder when you need us? How often do you want us to call you? Every time we have an assignment? Are you ok with saying no to us or do you feel like you have to say yes? How will we know its the right time in your day or week or life? Can you tell us when things change so that we do not have to guess? (We usually are incorrect, just so you know). Ok, if you’re still with me, let’s move on. How much do you want us to know about you personally? Do you want us to know every deep detail or do you feel that lots of personal questions are, well, too personal? Can you help us get to know you as a person? Will you understand why we ask you to respect our guidelines? Our rules are there for reasons. Sometimes, to be honest, the rules frustrate us too. If we ask you for a background check, can you be ok with us having to do that? We want you to know that we don’t think you are a criminal, we are just following requirements. It’s not that we don’t want you to volunteer and appreciate your enthusiasm, it’s that we must maintain processes in order to serve you and our clients. 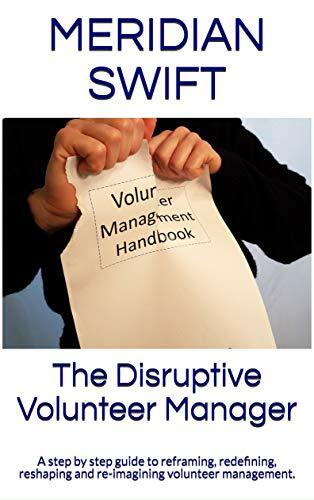 Can you think of it like this: If my mother (or father, son, partner, whomever) needed the help of a volunteer, would I want that volunteer to be thoroughly vetted by the organization? What about awards and recognition? Would you feel left out if another volunteer was spotlighted or given an award? Are you the kind of person who says the limelight doesn’t matter, but secretly you feel slighted if we take you at your word and don’t formally honor you? This may seem trivial, but we really want to give you the type of feedback that fits your style. Meaningless praise is not what we are about. Can you help us to give you the recognition you’ve earned? And what about motivations? Will you feel that we are psychoanalyzing if we try to get at the heart of your desire to volunteer? 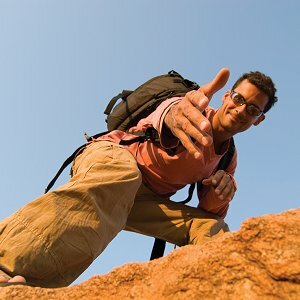 Will it bother you if we want to probe deeper than your desire to “just help?” Can you see how it helps us when we know the secondary reasons like you enjoy socializing or you need challenging experiences? Can we convince you that we are really doing our job if we gently probe about your recent losses or your former life challenges? Will you understand if we take more time acclimatizing you because we want to make sure that you will do well? If we ask you to wait six months or a year, can you see that we want you to come back after you have spent some time healing yourself? We know that volunteering is cathartic and healing and we have seen so many people successfully volunteer while mending their souls. Since this is a very delicate balance, will you understand we have a responsibility to the vulnerable population we serve and that being healthy and whole is a sound basis for volunteering? Will you let us work with you? When you have a great idea, can you understand that we do not make policy and that we cannot always make things happen, at least not right away? Because organizations have hierarchies, will you allow us to go through the channels to get things done and understand that we can’t force processes to go faster? We get very frustrated too, with the sometimes slow go of committees and permissions. But having said that, volunteers all over the world have made tremendous improvements in their respective organizations. We most certainly do value your ideas and suggestions, so will you keep them coming? Your suggestions make us look good too. Just kidding. We want you to know that we want you to succeed. Our jobs are to find you, (although oftentimes you find us) to orient you properly, to give you the attention and mentoring you need, to place you in a meaningful position that enhances your life while respecting your availability, and to do everything in our power to keep you coming back as a satisfied, productive volunteer. You are the reason we have jobs, jobs we cherish, jobs we believe in. You inspire us, challenge us, educate us, lead us and keep us coming back. We look at each one of you as an individual, with unique perspectives, needs, goals and timetables. We want to support you while cultivating your skills and we are willing to invest time in you if you are willing to work with us. Our clients benefit beyond any of our imaginations. Come, our new friends, fall in love. Dear Prospective Volunteers: Meridian asked me to let you know about Encountering the Edge: What People Told Me Before They Died, a book that shows what our interactions with hospice patients can be like. I was a hospice chaplain for 7years at hospices in New Jersey. You can see more about this quirky book, free of religious agendas, at the publisher’s site. It was endorsed by a national Huffington Post death and religion reporter.